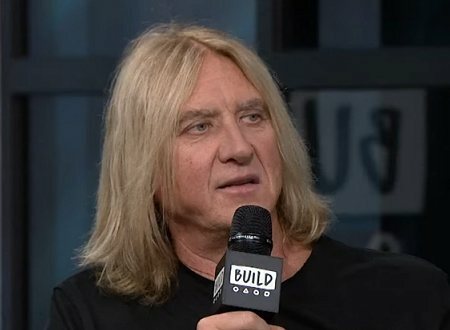 Def Leppard singer Joe Elliott is currently in New York City and many press photos are available. Joe was interviewed by BUILD Series and SiriusXM and many photos have been posted online. View the full video from last night where he talks about the digital deal with Universal and the release of a 1980 live show. Another interview took place with SiriusXM. He is due to be live on SiriusXM again on Monday alongside Neal Schon of Journey. Visit the Album News section for more news on new music (based on band member quotes).